Adorable Twin Home in a senior community. 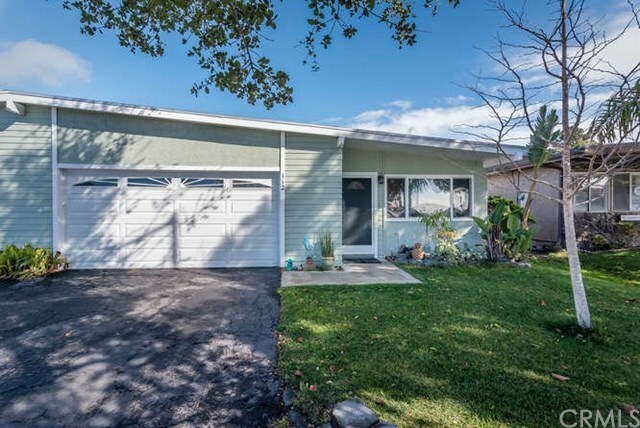 Enjoy the sunrises and sunsets from this beautifully remodeled home: ceramic tile flooring, newly painted, kitchen offers new appliances and quartz counter tops, bathroom has been completely remodeled with designer tiled walk in shower, tile flooring, paint and accessories. Large master bedroom, enclosed sunporch is conveniently located with access to the private backyard which backs up to open space. A gardener's dream with plenty of room for vegetable and flower gardens, mature citrus trees truly a serene area for relaxation. Two car garage with laundry hookups and plenty of storage. Close proximity to shopping, schools, parks, beach access, minutes from the Village of Arroyo Grande. Information not verified.